Okay, when I say “we’re writin’ a book,” it’s a Dummies book. Which of course is a real book. But it’s not like we’re creating the next great American novel. More specifically, the “we” is my good friend and geo-location savant, Mike Schneider and me. 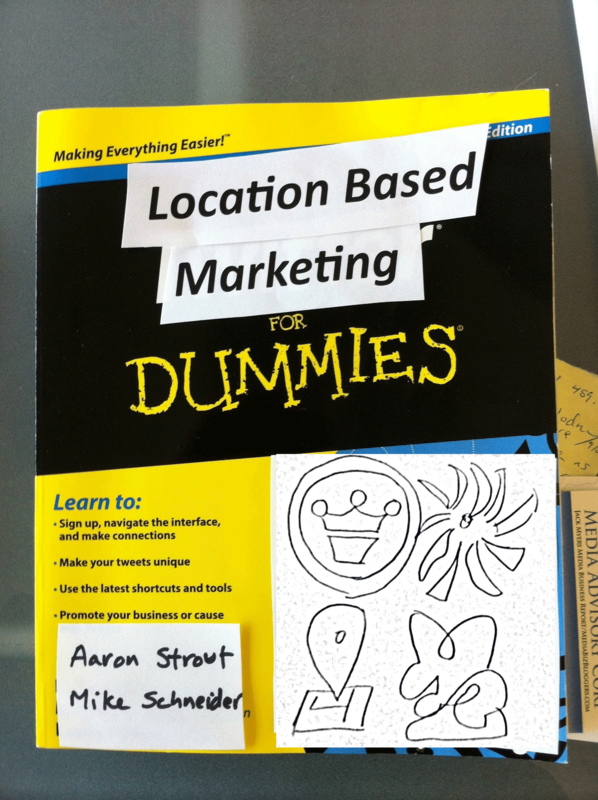 And the Dummies book (Wiley imprint) we’re writing is Location Based Marketing for Dummies. To my knowledge, it will be only the second printed book on this subject. Our friend, Simon Salt’s book being the first. Mike and I have started writing the book already and plan to have the book wrapped up in March of 2011. The book is scheduled to be published in June of 2011. God willing, we’ll start the pre-orders around May. As soon as there is a link up on Amazon and Barnes and Noble, we’ll be sure you know about it. By the way, I’d like to give a special thanks to our acquiring publisher, Amy Fandrei. She’s not only super smart but she knows her stuff and has already done a fantastic job at “herding kittens” so to speak. Let’s hope she’s not sick of us by the end of this process. So How you can help? I’m glad you asked. If you’re a LBS platform or vendor, we are interested in access to your executives, platform and case studies. If you see a new LBS hit the scene, send @schneidermike and I a tweet with the hashtag #LBM4D. You can also keep checking in and letting us know if you discover cool offers, glitches, Easter eggs and any other LBS topics that might be noteworthy. Tell us if you have specific things you think the book should cover, we are always listening. And of course, you can read the book!